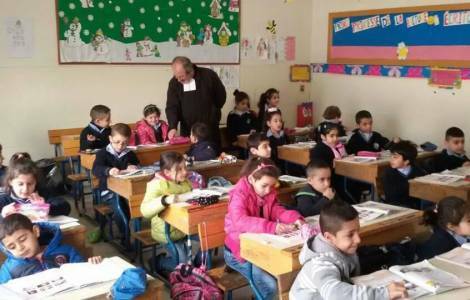 Beirut (Agenzia Fides) - The crisis in Lebanese Catholic schools seems to have worsened, which has resulted in the resignation, decided by Catholic schools, regarding 500 of their teachers. The large number of resignations ordered by Catholic schools fuels concerns and distrust among families. A malaise that is also reflected in the drop in enrollment of students at institutions most affected by the crisis. Today, Thursday, July 5, an urgent meeting of the heads of schools was convened at the seat of the Maronite Patriarchate in Bkerkè, to face the state of crisis together with Patriarch Bechara Boutros Rai. Local sources report to Agenzia Fides that the individual institutions have tried to follow reasonable criteria in narrowing down their teaching staff, by not renewing the contract especially to senior professors close to retirement, or those who carried out only a few hours of teaching. The individual schools are also implementing other measures to cope with the crisis, such as the unification of classes with few students. At the same time, the teachers' unions will have to decide in the next few hours what initiatives to take before the crisis worsens. Father Boutros Azar, current secretary general of Catholic schools, complains about the passivity of national institutions, inactive in the face of repeated alarms launched since last autumn on the severity of the crisis that now puts the survival of many non-state schools at risk. The new provisions on the "salary grids" of public workers approved by the Lebanese government in August 2017 contributed to triggering the crisis of non-state schools (see Fides 2/9/2017). These provisions, applied to private school teachers, immediately put private schools in difficulty, called to find the resources to finance the similar increase in levels and wages required by their employees. The heads of Catholic schools and even senior members of the Maronite Church have asked on several occasions political institutions to take charge of at least part of the costs to finance the application of new salary grids to state school teachers, which currently host more than two thirds of Lebanese students.